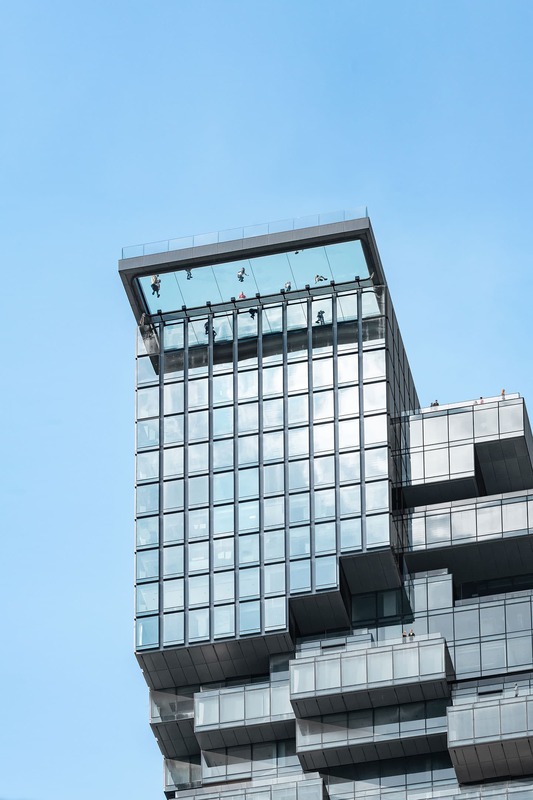 Opening of Observation Deck Marks Completion of Büro Ole Scheeren’s MahaNakhon Tower in Bangkok. 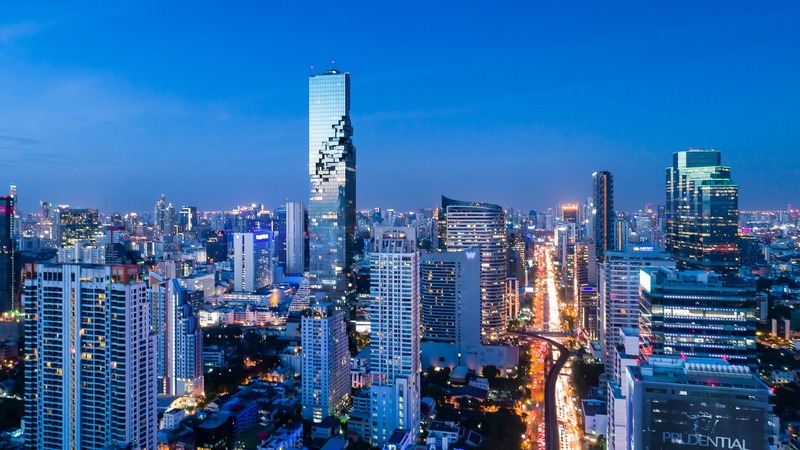 The 150,000 sqm complex comprises MahaNakhon Square, a landscaped outdoor public plaza, as well as retail space, cafes, and restaurants with lush gardens and terraces spread over multiple levels, 200 bespoke homes and service apartments, as well as a boutique hotel with 150 rooms. Breaking with the conventional podium typology – a tower being strangled by a monolithic plinth – the design for MahaNakhon splits the podium into two parts to carve out a generous public plaza, a vibrant hub for both planned and spontaneous cultural events and a retreat from the frenetic street life. The pixilation of the tower extends to the ground, where the building gradually dissolves and generates MahaNakhon Hill, a series of cascading indoor/outdoor terraces that evoke the shifting protrusions of a mountain landscape. The adjacent 7-storey building known as MahaNakhon Cube mirrors the terraces of the Hill and features a multi-level retail centre with a direct bridge link to the adjacent Skytrain station. Occupying the full dimension of the Cube’s urban facade is the Media Wall, a digital interface displaying a programme of films and real-time projections of environmental data, emphasizing the interplay between the building and the realm of the city. Commissioned in 2008 by Pace Development, MahaNakhon is the vision of Ole Scheeren, at that time Partner-in-Charge at OMA, and has been developed over the last decade by Büro Ole Scheeren and its team of architects at Büro Ole Scheeren Thailand and subsidiary HLS. The building has received widespread acclaim globally and has been named Finalist in the prestigious 2018 International High-Rise Award. Other awards include Best Mixed Use Development Thailand at the 2015/16 Asia-Pacific Property Awards, Best Condo Development at the 2014 South East Asia Property Awards and Best Luxury Condo Development at the 2014 Thailand Property Awards.